Those who are in need and struggle with getting vision care, medical exams and dental work done will be able to get those services FREE at the annual King County Clinic Oct. 26 through 29 at the Seattle Center. 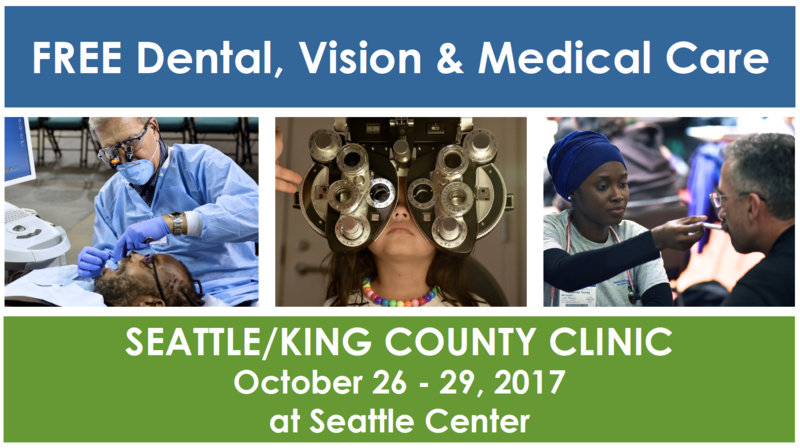 The annual Seattle/King County Clinic offering free medical, vision and dental care is coming up October 26th through October 29th and is being held at the Seattle Center. Get a ticket at the Fisher Pavilion at Seattle Center. Fisher Pavilion opens each day at 12:30 AM (see seattlecenter.org/patients for a map and details). The first patients will enter the Clinic in Key Arena at 6:30 AM. Entrance will be in order of the number on the ticket. Narcotics will not be used or prescribed. Authorization for medical marijuana will not be provided.